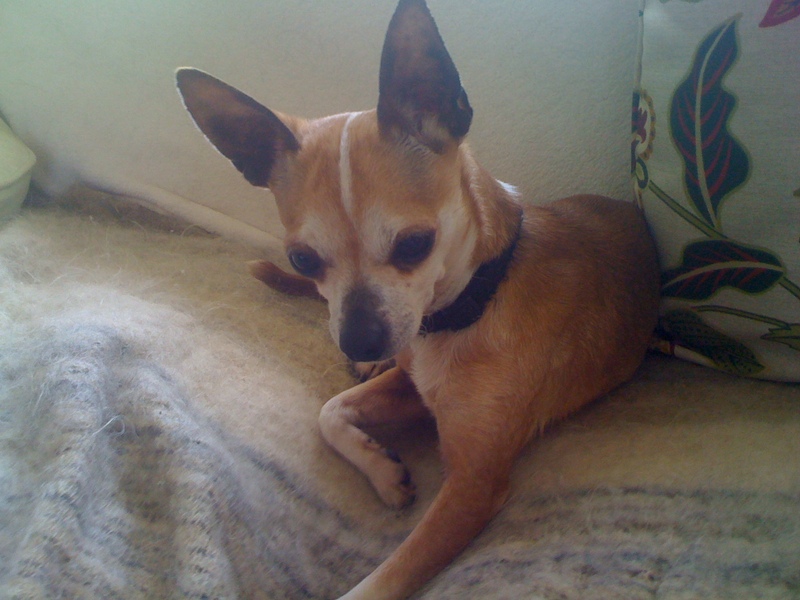 Remember Nugget, the lost chihuahua we found wandering on our street? We didn’t find Nugget’s owners, but we found a loving home for him just down the street from us, and he comes to visit sometimes. Ruby, our German Shorthair Pointer, still doesn’t like him, but Jason and I grew fond of the little guy. 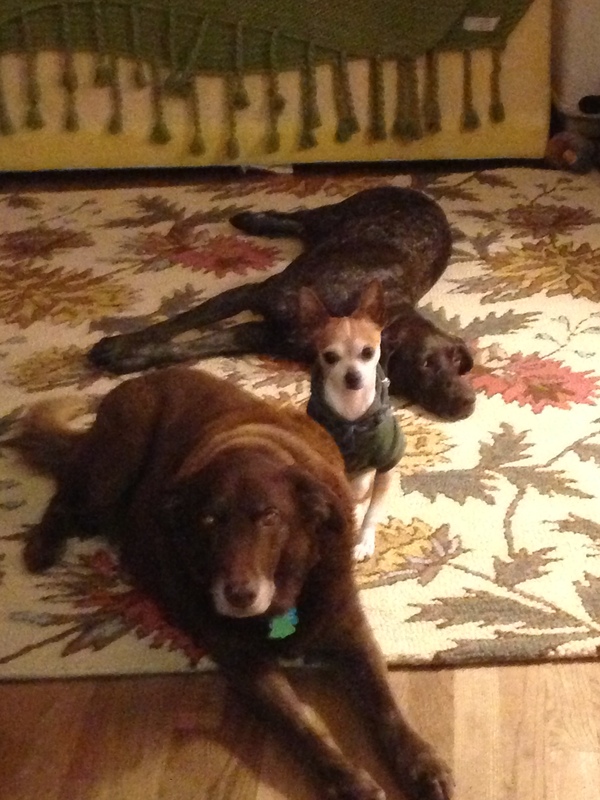 Here’s Nugget on a recent visit to our house (with Ruby and Hudson). You can’t really tell in this picture, but Nuggie (as Jason calls him) is wearing a football champion sweatshirt, which we put on him when he watches Seahawks games at our house.